OMEGA, the prestigious Swiss brand and member of Swatch Group Ltd., the world’s leading watch manufacturer, was founded in 1848. For more than 168 years the brand has been synonymous with excellence, innovation and precision. Faithful to its original pioneering spirit, OMEGA continues to make technical and watchmaking history in areas as diverse as sports timing, precision technology, and design – innovations that led to the conquest of ocean depths and space. This legacy continued in 2015 with OMEGA’s introduction of the world’s first Master Chronometer. Approved by the Swiss Federal Institute of Metrology (METAS), Master Chronometer certification represents the Swiss industry’s highest standard of precision, magnetic resistance and chronometric performance. 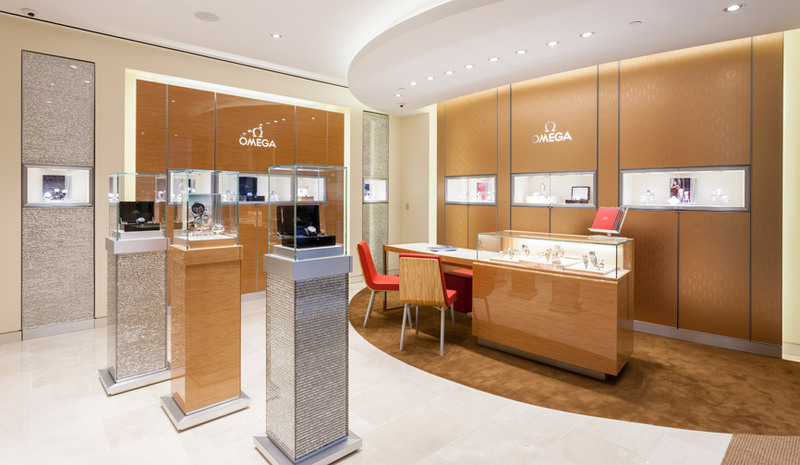 When visitors enter the OMEGA Boutique, they will be warmly greeted by a specially-trained staff that is enthusiastic about sharing their unparalleled knowledge of one of the world’s most respected watch brands. Visit the OMEGA Watches website at www.omegawatches.com.